Advanced potato washing and optical sorting line from Tong Engineering. 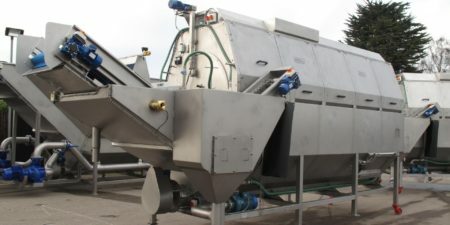 This high capacity washing facility is fed by a Tong box tipper which transfers potatoes to a 4 metre long Tong barrel washer fitted with integrated destoner for gentle washing and reliable removal of stones. 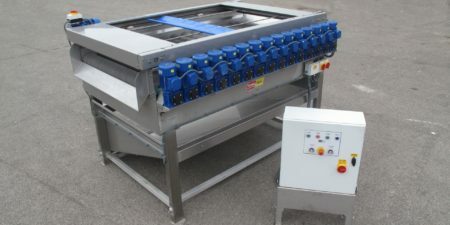 Potatoes are polished in a full rotary polisher with water recycling facility, before drying is achieved with a Tong sponge drying unit with all electric direct drive motors on every shaft for optimum energy efficiency and ease of maintenance. 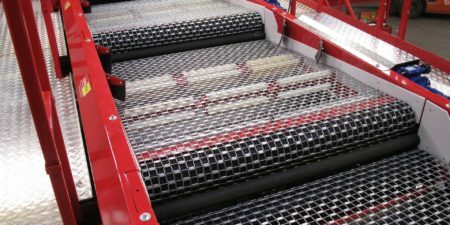 Potato grading with Tong’s EasyGrade screen unit. Optical sorting with Newtec Celox optical sorter. Gentle box filling with Tong vertical lowerator box fillers. 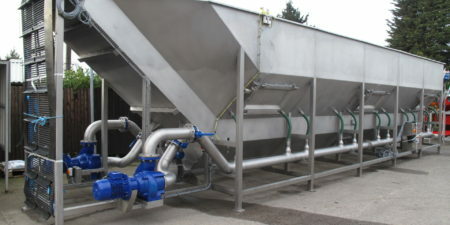 For more information on Tong’s industry leading range of potato and vegetable washing equipment click here.